EA, publishers of the Titanfall 2, released a new teaser that shows how Titans and Pilots can work together as a team. 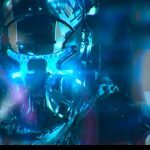 Titanfall 2 teaser video is quite a short one, only half of minute, and it features a cover of the popular song “Some Together” by Beatles. There are two Pilots in the Titanfall 2 teaser video that fight in a combat and call in their Titans to help each other. This teaser shows some of the new Titans that were developed by Respawn Entertainment. If you wish to read more about these new Titans and what their abilities are, check the page here. Titanfall 2 is expected to be released on October 28. Titanfall 2 will be available in Xbox One, PlayStation 4, and PC as well. EA once expressed their hopes that Titanfall 2 will function better than its previous version. Blake Jorgensen, chief financial officer at EA, said that this is because of the growth of the number of gamers with current generation consoles and the game’s multiplatform release. Titanfall 2 will be available on Xbox One, PS4, and PC, while its predecessor, Titanfall, was only available to Microsoft platforms. One of the biggest new extensions to the upcoming Titanfall 2 is a full story-driven campaign. Get an Access to Titanfall 2’s New 1v1 Mode by Drinking Mountain Dew!